This intimate event is a two-day experience which includes three nights’ accommodations at the Fraser River Lodge and Tall Timber Bed & Breakfast in Agassiz. All meals are included along with spending time Sturgeon fishing with an NHL star, a relaxing wine night, and auction. The celebrities participating in this charity event include athletes Andrew Ladd, Duncan Keith, Dustin Byfuglien, and Rick Hansen. Evenings will be hosted by Mariko Izumi. 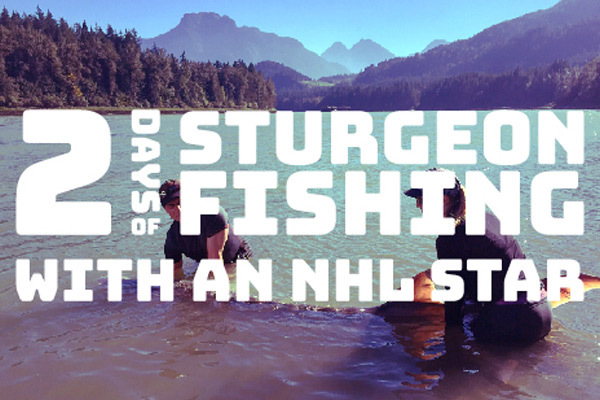 Sturgeon Slayers, a premier angling outfitter, will guide all participants for fishing all fishing days. Sturgeon are a highly protected and prized trophy fish and the stunning Fraser River is the best spot in the world to land this species.